White House senior adviser Ivanka Trump says she is closing her fashion brand so she can focus on her work in Washington. She's seen here at the White House last week. The move comes after Trump faced scrutiny for her commercial enterprises as she joined her father to work as a senior adviser in the White House. Questions of potentially preferential treatment were raised after China granted more than a dozen trademarks to Trump's company. Chinese officials said there was nothing improper with the government handled the trademark applications. The fashion and clothing brand generated at least $5 million for Trump via the trust she formed to control it last year, according to documents that the White House released in June. Taken together, Trump and her husband, Jared Kushner, reported earnings of at least $82 million in 2017. Confirming the shutdown, the company released a statement saying, "This decision has nothing to do with the performance of the brand and is based solely on Ivanka's decision to remain in Washington indefinitely." The company also cited the "strict limitations on the business" that were put in place when Trump resigned to take up a job in the government. The original business had been structured around growth, the company said, adding that the restrictions placed on it due to ethics rules "limited the brand's ability to grow — both domestically and abroad." Abigail Klem, president of the Ivanka Trump brand, called its closure "a very difficult decision for Ivanka." Critics had questioned several instances when Trump's role in her father's administration was seen overlapping with the business that bore her name. After she appeared on 60 Minutes with President Trump, for instance, the company pushed out an ad for the expensive bracelet she had worn during the segment. And less than two weeks into the administration taking office, Trump adviser Kellyanne Conway said on Fox News, "Go buy Ivanka's stuff." 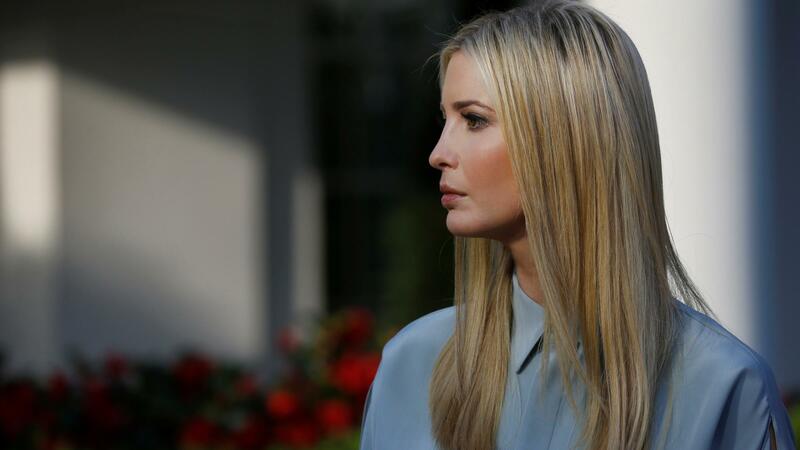 Existing Ivanka Trump products will continue to be sold under existing licensing contracts that have put the company's wares on shelves at stores such as Lord & Taylor, Dillard's and Bloomingdale's, and online at Zappos, Amazon and other sites. Ivanka Trump first ventured into the fashion business in 2007, when she started selling a line of jewelry. She launched her brand in its current form in 2014. Soon afterward, the company added footwear and handbags, before expanding into areas from denim and activewear to baby bedding products. The number of full-time employees at the Ivanka Trump brand wasn't included in a news release about the closure. The company's website currently lists a staff of 12. In her statement about winding down the company, Trump added, "While we will not continue our mission together, I know that each of them will thrive in their next chapter."